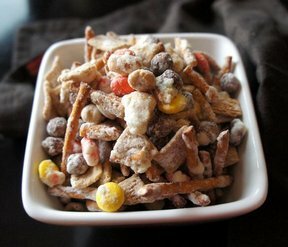 Cubes or crumbled pieces of bread that have been dried and seasoned to be used in stuffing (dressing) recipes. 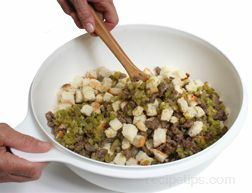 Store bought stuffing mix generally consists of white bread, wheat bread or a combination of both. 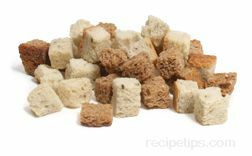 The bread is cut into cubes or crumbled pieces and thoroughly dried. 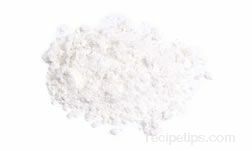 The bread is seasoned with herbs and spices. 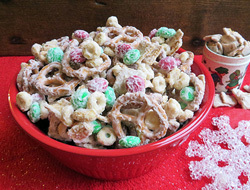 The mix can be prepared as directed on the package or used in your favorite stuffing recipes. 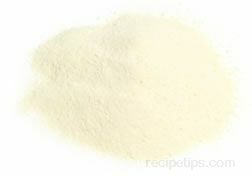 Unseasoned stuffing mix can often be found in the bakery department of most stores. 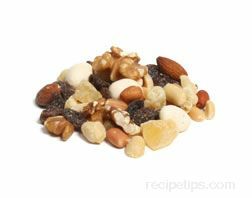 This type of stuffing mix is generally unseasoned and can be found made from different varieties of bread. 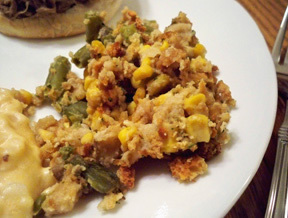 Stuffing mix is also available made from cornbread.